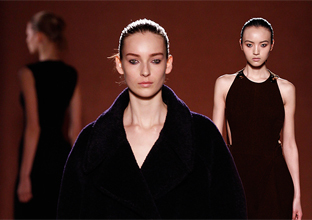 When it comes to achieving a desired skin look with foundation, women often have to choose between flawless, even coverage or a radiant, glowing complexion. 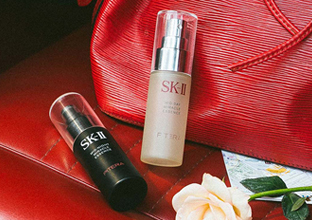 But now, women can have it all, thanks to SK-II’s new multi-benefit Enamel Radiant Cream Compact Foundation and the accompanying Artisan Perfecting Brush, an innovative new application tool that puts all other foundation devices to shame. One of the most important yet overlooked factors in achieving a flawless foundation look is the tool with which it’s applied. After rigorous research and testing to find the best tool to achieve the desired results, SK-II developed the Artisan Perfecting Brush, engineered with a new micro-coverage brush technology based on technical bristle analysis. 1. Clever curves: The brush is shaped with a unique curve that mimics the natural shape of the tip of a finger, allowing it to fit and glide into every crevice of the face. 2. Dense sense: Each high-density brush boasts over 70,000 elastic bristles that are delicate and gentle on the skin, flawlessly covering pores and textured areas of the face with even coverage in just one swipe. 3. Effortless control: There’s no difficult technique to applying foundation with the brush. Simply use the brush in circular motions over your face to evenly spread a light layer of foundation and achieve radiant coverage. 4. Maximum pay-off, minimal wastage: Less brush absorption means a minimal loss of product when transferring foundation from the compact to the brush and onto the face. Just one swipe of foundation with the brush is already enough to cover half of the face! • Beige contains Pitera™, Vitamin E, and Niacinamide to promote even skin tone and provide coverage. • White contains Telosense and glycerin to hydrate and care for the skin throughout the day. • Pink contains a combination of high pure oils, and lavender and gold pearls to enhance skin’s luminosity. Blending easily into the skin, the new foundation formula contains 4x concentrated Pitera™, keeping skin hydrated and protected from the inside. The foundation’s flawless coverage on the surface of the skin also acts as a mask to lock in the multiple benefts of Pitera™ throughout the day, helping skin to achieve a radiant, natural glow. 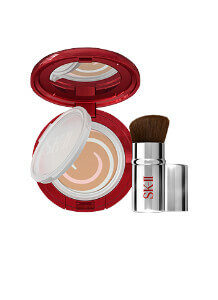 When used together, the SK-II Artisan Perfecting Brush and Enamel Radiant Cream Compact Foundation create the perfect canvas for your daily or special-occasion makeup look, covering every pore and imperfection with precision while giving your skin a natural radiance. Your skin will feel hydrated, look flawless, and glow as if it’s lit from within. Yes, ladies – you truly can have it all.